A traditional antique brass finish ceiling pendant, with chain suspension, top and tail shade clamps and opulent opal glass ball shade. Height adjustable at the time of installation by simply removing one or more of the chain links to a maximum drop of 910mm including the fitting. 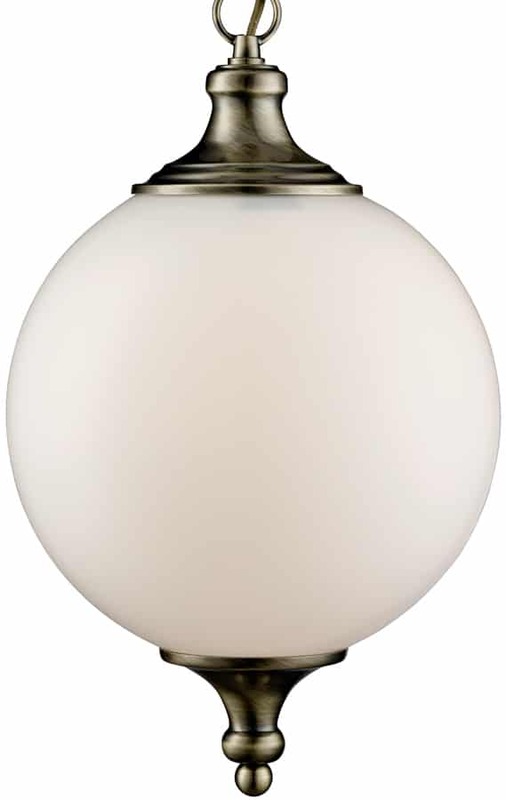 A classic choice for the hallway or entrance room and capable of accepting an energy efficient light bulb to help reduce running costs.